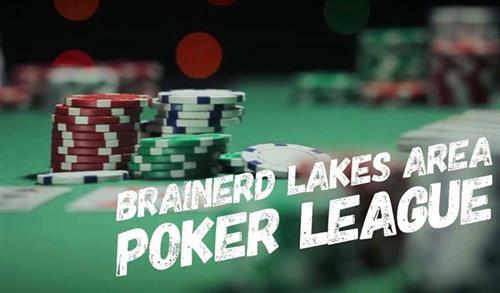 Sage on Laurel & Brainerd Lakes Area Poker League is holding a free monthly Texas Hold’em Poker tournament! Every second Friday of each month starting at 6:00pm. First place walks away with a $20 gift certificate and second (AND third!) place receives a coupon for a free drink or dessert! This is a laid back game with lots of room to learn with no stress! Come on out, have some nachos and play Hold’em!